In order to successfully develop and deliver high-performing applications, we need to identify and resolve bugs and performance problems early in the application lifecycle – irrespective of where they are deployed. And, how to resolve all these issues! Come see Riverbed SteelCentral AppInternals in action at Visual Studio Live 2015 in Redmond, or try AppInternals now at www.appinternals.com! We live in an application-driven world. Applications power businesses, provide connectivity, and help fulfill goals and customer needs. In a competitive world, needs evolve quickly as our users demand more features — all while expecting around-the-clock availability and reliability, whether they use smartphones, tablets or computers. As developers, we need to deliver new apps and features frequently to satisfy our users’ needs or else, we risk losing them to competitors or alternatives. Responding to User Demands – Scale and Release Updates Faster! The ability to constantly adapt to meet market needs is vital. However, with rapid application release cycles, the quality of code or the allocation of system resources can take a hit and make maintenance in production expensive and a nightmare. 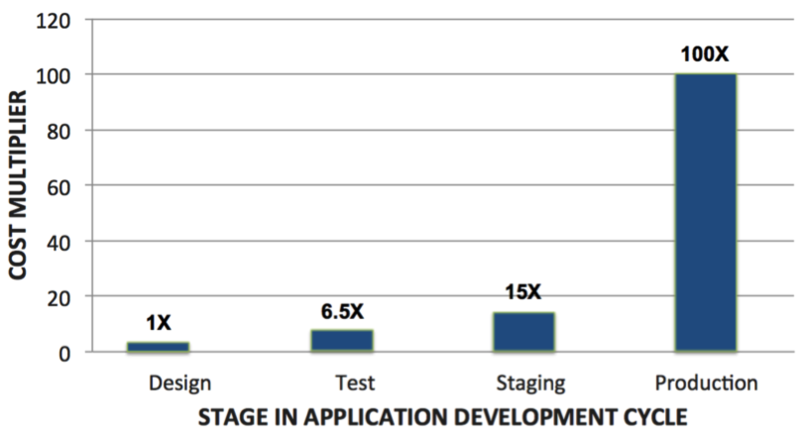 Clearly, catching bugs or resource issues early in the application lifecycle can help keep costs down and keep within project timelines. Firstly, we need Application Performance Monitoring (APM) products like AppInternals so that development, testing, operations and business stakeholders get performance visibility, share insights and collaborate in order to ensure fast release cycles while ensuring quality. Secondly, we need is a culture where development and operations teams unite, to draw from each other’s experiences, perspectives, concerns, and continuously improve processes to build and deliver resilient applications rapidly, into the hands of delighted customers. This requires discipline, a sense of mutual respect, focus on the big picture, and a strong commitment towards delivering on business goals. However, no amount of preparation can guarantee expected results in production. Elements out of your control – network traffic, third-party apps, public cloud, local ISPs or browsers can potentially impact user experience or disrupt service. What we need is a strong feedback loop enabled by APM, with every release that measures metrics around performance, exceptions and most importantly, end-user experience. Figure 2: IT and business stakeholders share performance insights to find and fix issues early. This results in effective collaboration, higher quality and faster releases. Here is where application performance monitoring tools – like Riverbed SteelCentral AppInternals – help diagnose problems that degrade application performance and behavior. They give you the end-to-end visibility you need from the end-user’s perspective, with actionable diagnostics. How are users in one location faring compared to others? Use AppInternals to diagnose where and why these symptoms occur. Are they because of poor code, network conditions, server capacity or third-party services? What is the context in which these issues occur? Which code segment, SQL query or app component is at fault? You will be able to package up everything the development team needs to fix the problem and prevent it from recurring. With AppInternals, developers can view this information from within IDE’s like Visual Studio. Especially in the case of rapid release cycles, constant monitoring is a necessity. Identify symptoms in runtime – in QA and production – and use AppInternals to quickly fix them. This will keep the backlog low and your IT team focused on developing and delivery new features. Head to www.appinternals.com —no download or installation required. We will send you your username and password in minutes. Come See Us at Visual Studio Live in Redmond! Join us on August 11 and 12 at Table #3 to see AppInternals in action. And don’t forget to join us from 5:40 – 6:00 pm on Tuesday, August 11 in the St. Helen room for our presentation. If you attend you’ll have a chance to win a Beats by Dr. Dre headset!